Restore your headlights with a professional polishing service from the pros at ValleyPro Autohouse. We use professional grade cleaners and restoration techniques so you can get back to seeing all of the road. Take advatage of this limited time offer and save $30. 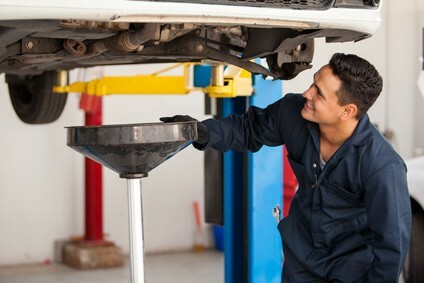 Get an oil change and receive 50% off your next oil change. Offers Valid until February 2nd, 2015 Can not be combined with other offers. Improve fuel economy and idle quality with a fuel injection cleaning and flush. Winter driving can be tricky when navigating varying conditions. Having good brakes can make all the difference. With better control and stopping power you can drive with confidence. 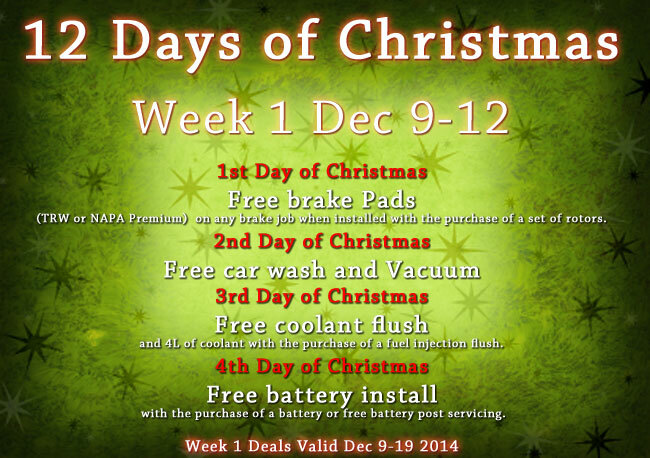 Take advantage of our Mid-Winter brake special. 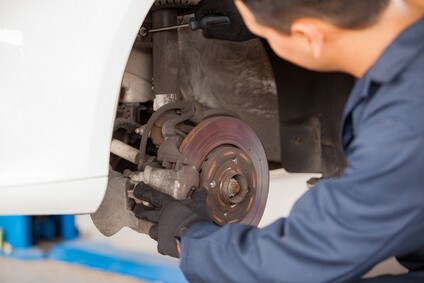 Get FREE Premium Brake Pads with the purchase of new rotors. 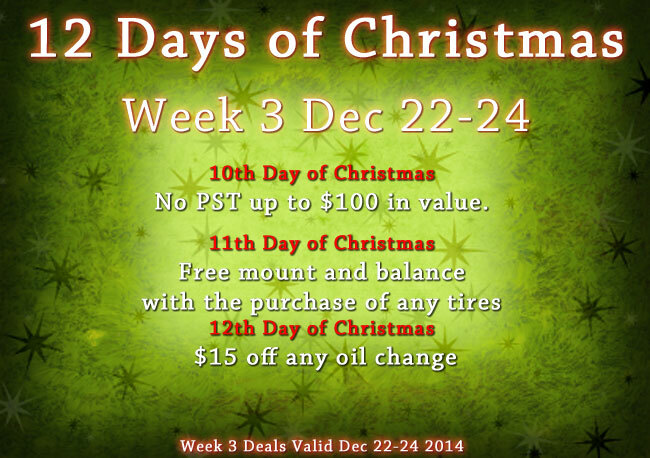 Week 1 deals will be honoured till the 19th due to the short notice. 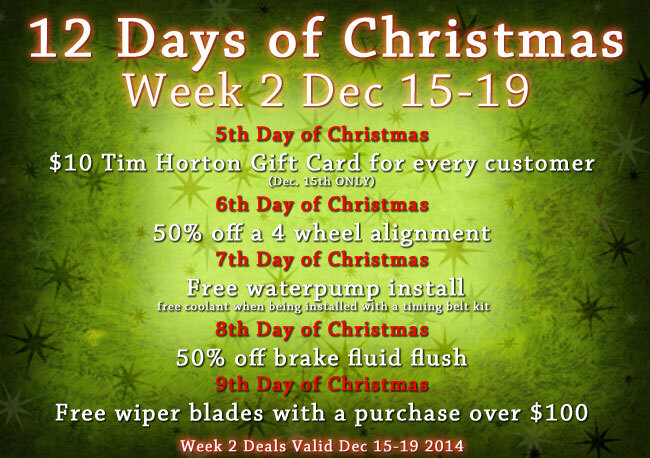 Deals are valid all week except for the 5th day of Christmas deal which is valid on December 15th only! Closing early on Christmas Eve and New Years Eve at 3 pm. Thank You, Happy Holidays!, and Christmas Specials! 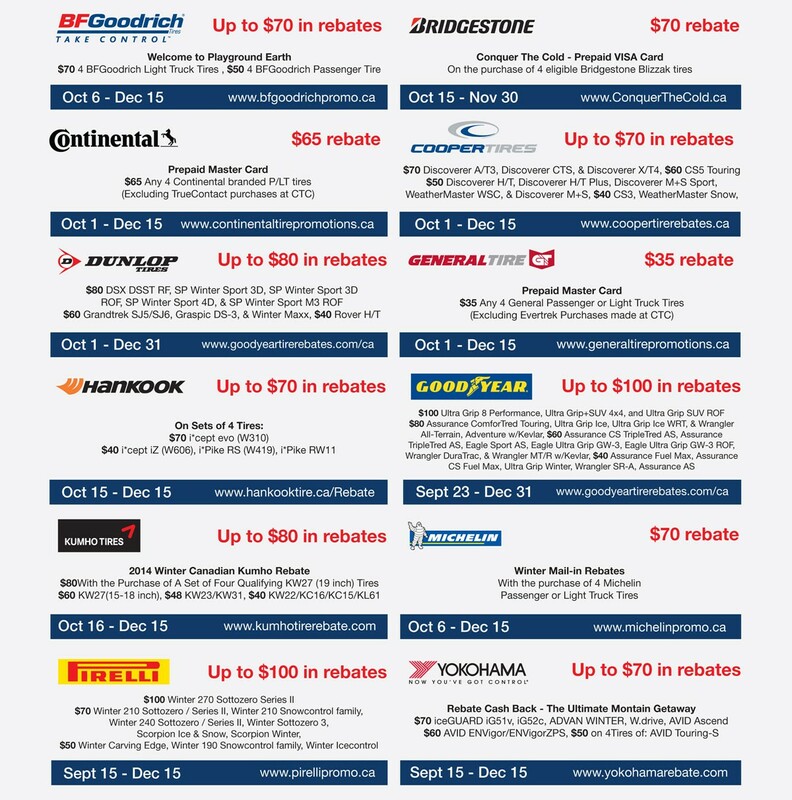 Up to $100 in Manufacturer rebates on winter tires. Contact us today to get a quote for your specific tire needs. 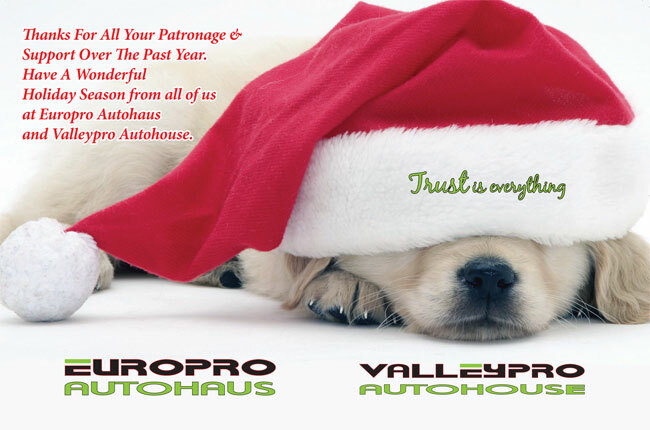 Europro Autohaus nominated for best of Kelowna. Please vote for us! Europro Autohaus is proud to announce that we will now be servicing BMW and Mercedes Benz Vehicles. Starting October 1st for BMW and October 15th for Mercedes. We look forward to servicing your Mercedes or BMW. Don't forget we already provide professional service for Volkswagen, Audi, Porsche, and Volvo. APR Fall Sale on NOW! Europro is pleased to announce that the entire product line from APR is on sale! ECU upgrades to Stage 3+ Turbocharger Systems. September 27th to November 3rd! Contact Europro for more detals. 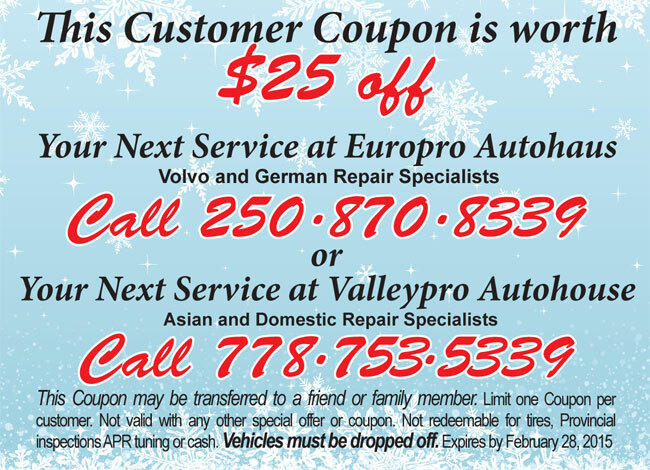 Refer your Volvo friends and Save! The Best of Kelowna Competition is finished and we got a Silver! We were the highest ranked automotive repair shop but came second in the category which was "Best Car Repair Facility" losing out to an Autobody shop. *Voting closes May 17th at noon. Opelika, AL - APR is pleased to announce the ultimate ECU upgrade for the 3.0 TDI. After months of long nights and many hours of testing, developing and more testing, APR is pleased to offer you an ECU recalibration that is second to none. An extensive research and development process has produced a powerful ECU upgrade with no loss of drivability or reliability. Expect faster acceleration, improved accelerator response and more torque across the entire power band. APR’s 3.0 TDI ECU Upgrade is an expertly recalibrated engine management control strategy that increases horsepower and torque to provide smooth and reliable operation as if intended by the OEM. APR’s ECU Upgrade is developed to work within the OEM and Tier 1 Supplier specifications for engine component stress tolerances and performance specifications. APR’s patented EMCS functionality puts the control of the engine’s operation at your finger tips and allows for additional features and options to be installed to your OEM ECU. The APR Stage I ECU Upgrade gives you higher peak numbers of 240 hp and 433 ft-lbs of torque. 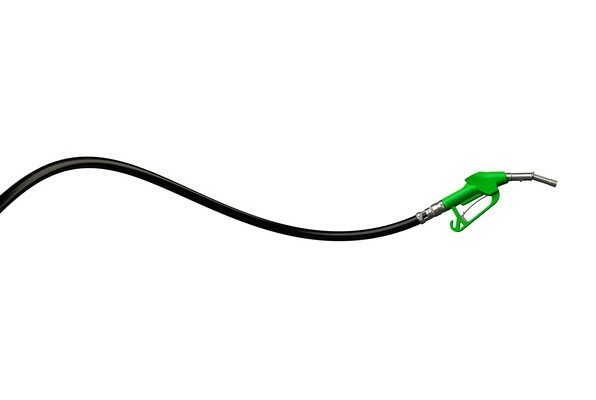 As much as 34 hp and 40 ft-lbs of torque are available through the power band. At 5,000+ lbs. of vehicle mass, acceleration from a complete stop can be challenging. However increasing low-end torque with APR’s Stage I ECU upgrade, the 3.0 TDI will accelerate with minimal effort. Furthermore power normally drops dramatically from 3,500 rpm to redline, but with APR’s Stage I ECU Upgrade, power is dramatically increased making merging and passing on the highway easier. APR’s ECU upgrade is the best power per dollar modification for the new 3.0 TDI and gives it just the extra edge these cars lack from the factory without pushing the limits. With factory-like smoothness and drivability, APR’s ECU upgrade will fill the void in an otherwise excellent car. Data collected at the same location via a Racelogic P-Box with ESP/ASR off and Sport mode. May not be comparable to data collected in other locations.  Copyright © 2013 Europro Autohaus Ltd., All rights reserved.